The band known as R.E.M. was formed in 1980 in Athens, Georgia by Mike Mills, Michael Stipe, Peter Buck, and Bill Berry. Stipe was an art student at the University of Georgia, where he befriended Buck, an Emory University dropout working at a downtown record store. From there they met Mills and Berry, Macon natives, at a party and began rehearsing at an old church. They rose through the ranks of the college town music scene, releasing songs through independent labels. In 1982, they signed a $10 million dollar record deal with Warner Brothers, cementing their commercial success. It led to Grammy awards, another $80 million dollar deal, and induction into the Rock and Roll Hall of Fame. R.E.M. has had a number of acclaimed songs over the years, including “Radio Free Europe,” “Losing My Religion,” “Everybody Hurts,” and “Man on the Moon,” among many others. Stipe and other band members still live in Athens. Visit Athens has their own R.E.M. themed itinerary for fans. 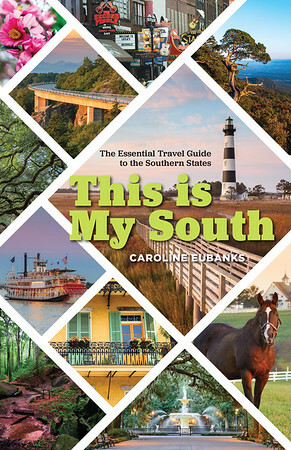 Pick up a map at the visitor’s center to help you in your journey. 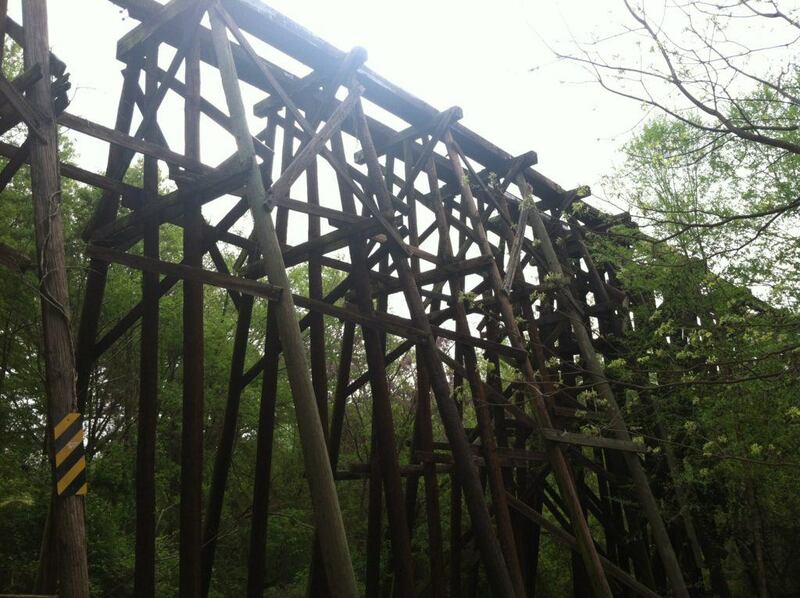 Set on the North Oconee River Greenway, this 1833 railroad trestle was a part of a train line that connected Athens and Augusta. But the now decommissioned structure is best associated with the band R.E.M. for being on the cover of their 1983 debut album titled Murmur. It’s been threatened with demolition a number of times over the years but remains a local landmark for music fans. Parking is limited to a small lot next to the trails and another down the street, so plan accordingly. Or you can walk over after a meal at Mama’s Boy. 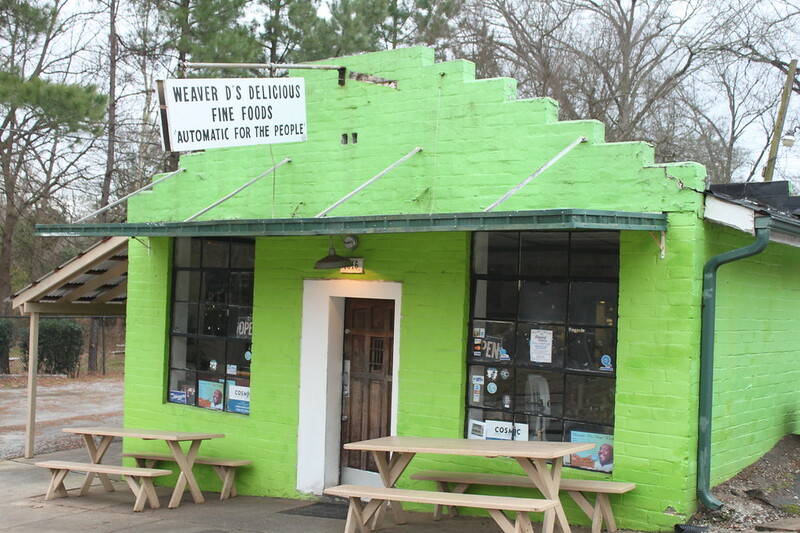 Opened in 1986, Weaver D’s is a beloved soul food restaurant in Athens. But in 1992, R.E.M. frontman Michael Stipe came to owner Dexter Weaver asking to use the restaurant’s slogan, “automatic for the people,” as the name for their album. He agreed and not only did the album Automatic for the People go on to win a Grammy, but the restaurant saw a surge in popularity. It fell on hard times in 2012, but the Athens community rallied around the institution to save it from closure. They’ve since celebrated 32 years and been named an American Classic by the James Beard Foundation. 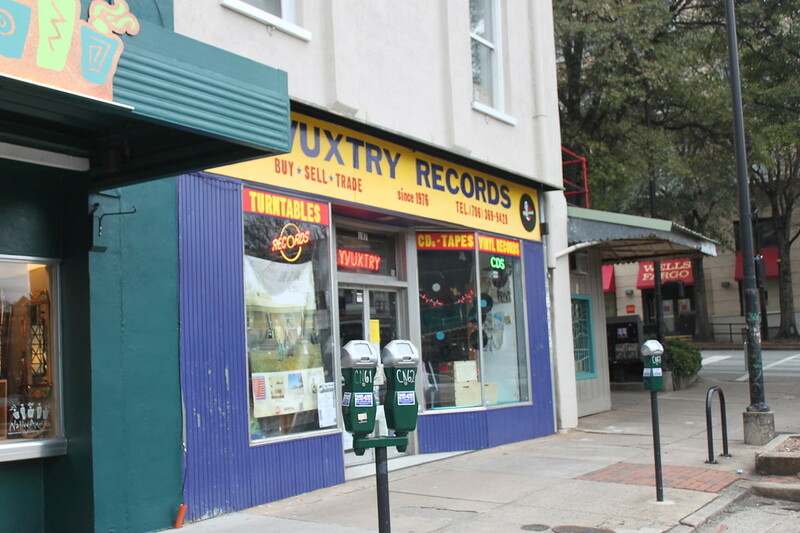 In 1976, Chicago transplants Dan Wall and Mark Methe moved to Athens and opened Wuxtry Records downtown. One of the first people they met was Kate Pierson, of the B-52s. The store would go on to play a role in music acts to come through Athens, including the B-52s, R.E.M., and The Whigs. Peter Buck of R.E.M. even worked at the record store where he famously met Michael Stipe, then a student at the University of Georgia. They also have a location in Atlanta. 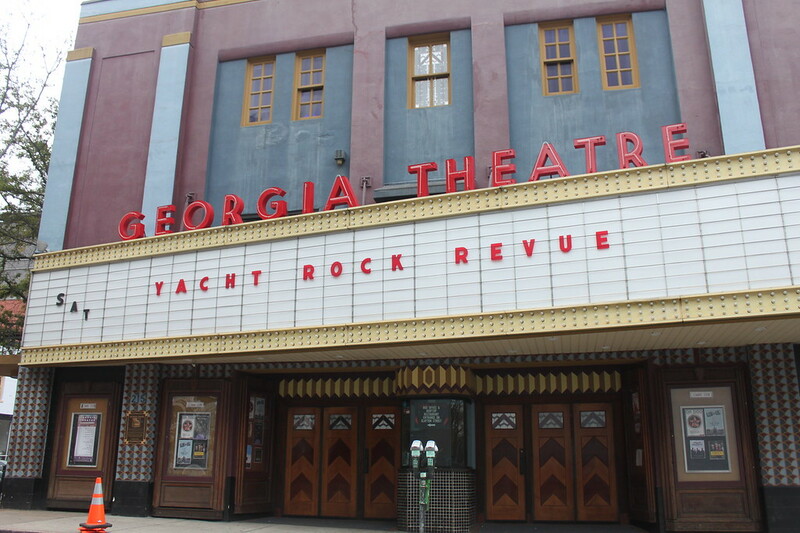 Originally built in 1889 as the local YMCA, the building that is now the Georgia Theatre has served a number of purposes over the years including a basketball court, music store, Masonic temple, and furniture store. In 1977, it was converted into a concert venue, hosting local legends The B-52s as well as The Police, Widespread Panic, Dave Matthews Band, Willie Nelson, and R.E.M. It was the site of John Mayer’s video for “No Such Thing” and R.E.M.’s video for “Shiny Happy People.” It was severely damaged by a fire in 2009 but has since been completely restored and continues to host national and local acts. The rooftop bar and restaurant at the theater provides great views of Athens before a show. Originally the site of St. Mary’s Episcopal Church, all that remains of this landmark is its steeple. Built in 1871, it ceased to hold services by 1899 but continued as a Red Cross headquarters, county museum, and even student apartments. It was here, in 1980, that the crumbling apartments were the site of R.E.M.’s first public performance. But in 1990, the rest of the church was demolished to make way for a new building. This steeple is located within the Steeplechase apartment complex, so keep that in mind as you park to snap a quick photo. Next door is Nuci’s Space, a community center that provides rehearsal space for aspiring musicians to fight the stigma of mental illness. 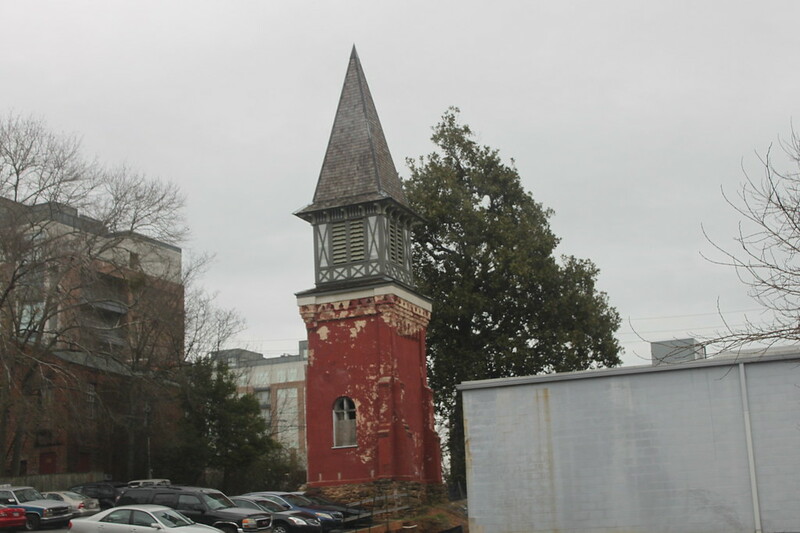 They now own the steeple and plan to restore it. 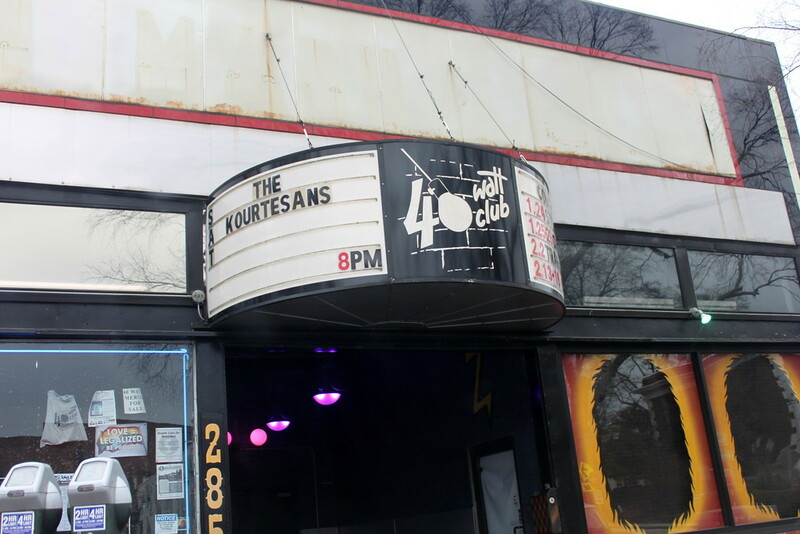 Considered to be one of the nation’s most influential music venues, the 40 Watt Club started with a 40-watt light bulb in an Athens loft in 1978 by Curtis Crowe. The band Pylon was formed here and were inspired to open their own club. It moved a few times, finally settling on its current space on Washington Street. Over the years, it hosted countless local acts, especially in the punk and new wave scenes, including R.E.M., Drivin N Cryin, and Indigo Girls. National acts like Drive-By Truckers and The Whigs continue to play here regularly. In 1987, Barrie Buck, the former wife of R.E.M.’s Peter Buck, took over management and still owns and operates the club. Looking for an Athens hotel during your R.E.M. pilgrimage? We recommend The Graduate and Hotel Indigo.